More than 150 hours of emergency responder training came down to a few crucial seconds for two Mountain View High School students this spring. Valeria Arellanes was at a pool party when a drowning 7-year-old boy was pulled from the water without a pulse. As often is the case, even the adults at the party began to feel a sense of panic as they assessed the child’s condition. That’s when Arellanes’ training kicked in, and she stepped up to administer CPR. “One of the coaches was getting really emotional,” said Arellanes, 17, who took the lead on performing CPR. Arellanes administered the lifesaving procedure until emergency medical services (EMS) arrived. The youngster was taken to the hospital and survived. Aaron Higareda, 18, was working at a restaurant when he saw a coworker choking on food. He performed the Heimlich maneuver to clear the obstruction from the airway, allowing his coworker to breathe normally. Both teens were part of a group of nine Mountain View High School students who completed the school’s inaugural emergency medical responder (EMR) course in mid-May that earned them state and national first-responder certifications. 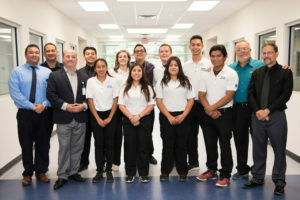 In May, nine Mountain View High School students graduated from the school’s inaugural emergency medicine responder (EMR) course, earning them state and national first-responder certifications. The course is offered through an affiliation agreement between the Texas Tech University Health Sciences Center El Paso Department of Emergency Medicine’s Simulation Education Division, and the Clint Independent School District. The course is offered through an affiliation agreement between the Texas Tech University Health Sciences Center El Paso (TTUHSC El Paso) Department of Emergency Medicine’s Simulation Education Division, and the Clint Independent School District. 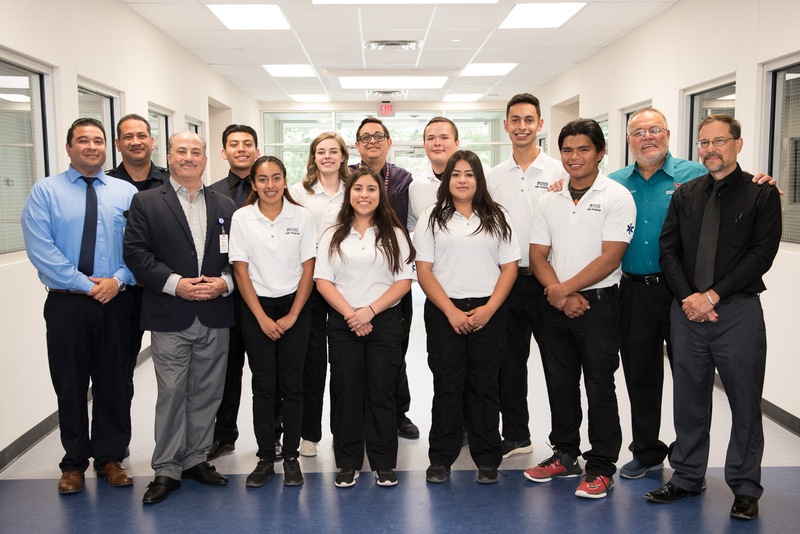 EMS educators with TTUHSC El Paso’s simulation division taught the course as part of the Health Professions Academy at Mountain View High School. The course included cognitive and skills training. The course included visits to TTUHSC El Paso, where students were put through various scenarios, including a night-time scenario with two patients who had suffered multi-system trauma. Mountain View’s next academic year will include four EMR classes with 10 students in each class. The course already has a waiting list.